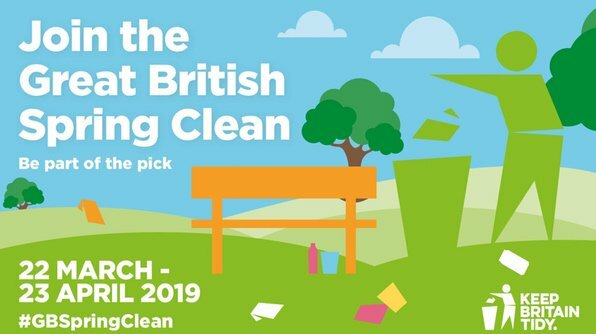 Spring is in the air and Havering Council is supporting this year’s Great British Spring Clean-up, by encouraging residents to pick up a kit and help spruce up their communities. Residents are already starting to snap these kits up which are available to borrow from the Council. These contain a high visibility vest, gloves, a litter pick and waste sacks, which are suitable for both adults and children as part of the campaign, which runs until 23 April. The Great British Spring Clean is organised by environmental charity Keep Britain Tidy. It brings together community organisations up and down the country, to take part in projects clearing up litter, tidying up and improving the look of their local areas. Councillor Osman Dervish, Cabinet Member for Environment, said: “We want to work together with residents to keep the borough clean and tidy and provide opportunities so they can take pride in where they live, work and go to school. “We have recently announced our investment of £400,000 into street cleaning, which will see the frequency of streets being cleaned increased from once every three weeks to fortnightly. In addition, we want to take action against fly-tipping, dog fouling and littering. “Residents have told us that they are concerned with the amount of litter that they see and we encourage them to report this so we can take action.